Geoliikkujat: Time to archive & thank all the participants as well as all the magnificent volunteers who made it happen. See you all in Turku next August! Aika arkistoida, kiitokset vielä kaikille osallistujille ja upealle vapaaehtoisjoukolle. Kimpassa saimme suuria aikaan. Tapaamisiin Turussa! Woohoo! Let's make it the most memorable geocaching weekend ever. With more than 1500 registered attendees the event is fully booked and all the tickets are sold out. Tampere is a city of more than 210 000 inhabitants and it is located in the middle of exceptionally beautiful natural surroundings with lakes and rapids connecting them. 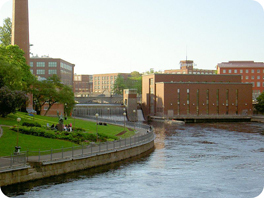 Tampere is also characterised by high education, an industrial background and milieu, and an atmosphere where the vivacity of cultural attractions and international businesses meets the cosiness of students' lifestyle. Here urban structures and layers meet the amazing Nordic nature at its best. 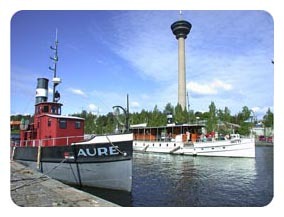 In short, Tampere offers an excellent environment for geocaching and all the other activities of the Mega-Event. There are hundreds of local cachers to meet and more than 1000 active geocaches within a radius of 30 km! Tampere is easy to reach from all over the world. The international Tampere-Pirkkala Airport is located less than 15 kilometres from the event venue. There are several daily flights from numerous European cities. The main railway station with excellent connections to all the other major cities in Finland is located in the very heart of the city. One may also travel to Tampere by bus from all over Finland. 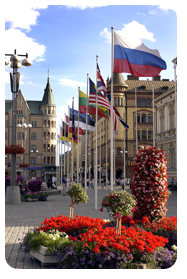 For more detailed travelling information and guidance, please visit the event's website at megafinland.fi. The main venue of the event will be a unique Geocaching Village just a few kilometres from the centre of the city. The Härmälä Camping Area is situated in a scenic environment beside the Pyhäjärvi lake. The whole area has been booked for the Mega-Event. In the GC Village there are more than one hundred small cabins, each of which has room from two to five guests. In addition, there is a Summer hotel with both single and double rooms. Those who are travelling with a caravan or a camper – or just with a tent – will certainly find a nice spot among the hundreds of caravan and tent spaces in the village. Mid-August is the highest tourist season in Tampere and the organisers encourage everybody to make their reservations as early as possible. For sure, the cabins and the Summer hotel in the Geocaching Village will be fully booked first. Links to Härmälä and other accommodation options as well as booking instructions are found at the event's website. During the Mega-Event weekend there will be a great number of organised activities, from parties to presentations and from saunas to cruises. The well-being of the youngest cachers will be especially well taken care of. Naturally, the organisers will also provide the guests with many recommended geocaching routes prepared in advance to meet different kinds of tastes and interests. The detailed event programme is found at megafinland.fi. Participating in the event required registering. Participants needed to register in advance, by the end of July at the latest. During the event no registration is possible neither will there be any other possibility to buy tickets at the event. Welcome to MEGA Finland 2011. Let's meet and geocache in Tampere! Jippijaijuu, tapahtuma on loppuunmyyty eli kertakaikkisen ikimuistoinen geo-viikonloppu on luvassa! Geokätköilijät perheineen ja ystävineen ovat tervetulleita Suomen ensimmäiseen Mega-luokan tapaamiseen Tampereelle! Tapahtuma alkaa perjantaina elokuun 12. päivänä ja päättyy sunnuntaina 14. päivänä. Eventin keskuspaikka on Härmälän leirintäalueelle perustettava ainutlaatuinen Geokylä. Härmälä sijaitsee Pyhäjärven rannalla muutaman kilometrin päässä kaupungin keskustasta. Härmälän yli sadan mökin, kesähotellin sekä matkailuauto- ja leirintäaluepaikkojen kokonaisuudesta jokainen löytää itselleen sopivia majoittumismuotoja. Härmälän mökit ja kesähotelli tulevat varmasti täyteen asukkaita, joten varhainen varaaminen on hyvin suositeltavaa! Lisätietoja Härmälästä ja varauksien tekemisestä sekä muista majoitusvaihtoehdoista löytyy tapahtuman kotisivuilta osoitteesta megafinland.fi. Mega-Eventin aikana tulee olemaan paljon järjestettyä ohjelmaa, minkä lisäksi aikaa on varattu lähiseutujen yli 1000 geokätkön etsimiseen. Ohjelmaa tarjotaan myös lapsikätköilijöille. Yksityiskohtainen ohjelma on julkaistu tapahtuman omilla nettisivuilla. Tapahtumaan osallistuminen edellytti rekisteröitymistä ennakkoon heinäkuun loppuun mennessä. Tapahtuma on loppuunmyyty ja rekisteröinti suljettu, eli tapahtuman aikana ei myydä pääsylippuja! Järjestävät tiimit ja muut tapahtumaa vapaaehtoisesti toteuttavat toivottavat yhdessä vielä kerran kaikki tervetulleiksi Mega-Eventtiin Tampereelle!